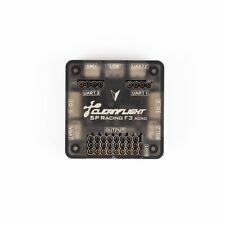 The SPRacingF3Mini uses advanced processor, sensor and software technologies to make your aircraft fly like it's on rails. The SPRacingF3Mini flight-controller and the Cleanflight software enables the precision flying you need for fast FPV racing.. The built-in 5V regulator makes wiring-up simpler and cheaper. Fixed-wing aircraft also become so easy: connect receiver, battery, 2 servos and an ESC and you're done!. The SPRacingF3Mini is the first and only mini board that features a MicroSD card socket for logging. Supports MicroSD/SDHC up to 32GB!. The SPRacingF03Mini runs Cleanflight which can be configured to suit your needs using a cross-platform GUI (Windows/OSX/Linux).. 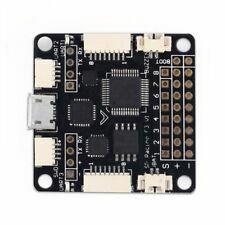 The SPRacingF3Mini has an ARM Cortex-M4 72Mhz CPU with Math co-processor (FPU) for efficient flight calculations that gets more done in less time. Loop times up to ~2x as fast as previous-generation STM32F1 based boards..
★ Stable performance - farther distance of receive and send the signal. 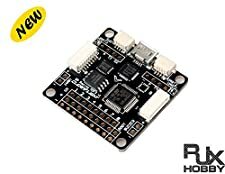 ★Specifically designed for racing, it gives pilots all the features, connectivity and expansion capabilities they need..
★Supports a variety of aircraft, tricopters, quadcopters, hexacopters, octocopters, planes and more.Supports OneShot ESC and more than 8 RC channels. ★The SPRacingF3 gives you all the features you need for the heart of your aircraft, whether you're into FPV racing, acrobatic flying or aerial photography it's perfect..
★★★Detailed instructions:http://seriouslypro.com/files/SPRacingF3-Manual-latest.pdf https://hyperion-world.com/download_files/manuals/HP-FCF3ACRO-MAN.pdf and this video: https://www.youtube.com/watch?v=kwGj5dX-T-A. Acro: Standard model for racing/acro flying. Features No compromise I/O. Use all the features all the time; e.g. Connect your OSD + SmartPort + SBus + GPS + LED Strip + Battery Monitoring + Sonar + 8 motors - all at the same time! On-board high-capacity black box flight log recorder - optimize your tuning and see the results of your setup without guesswork ( Deluxe). Next-generation STM32 F3 processor with hardware floating point unit for efficient flight calculations and faster ARM-Cortex M4 core. Stackable design - perfect for integrating with OSDs and power distribution boards. 16 PWM I/O lines for ESCs, Servos and legacy receivers. 8 available on standard pin headers. 8 via side mounted connectors. Full support for OneShot ESCs for easy PID tuning and a sharper response. 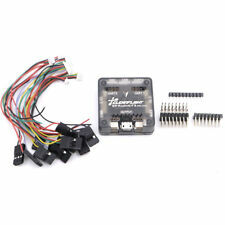 Supports SBus, SumH, SumD, Spektrum1024/2048, XBus, PPM, PWM receivers. No external inverters required(built-in). Dedicated output for programmable LEDs - great for orientation, racing and night flying. Dedicated I2C port for connection of OLED display without needing flight battery. Battery monitoring ports for voltage and current. Sonar support for precision low-altitude hold. Buzzer port for audible warnings and notifications. Developer friendly debugging port (SWD) and boot mode selection, unbrickable bootloader. Symmetrical design for a super tidy wiring. Wire up using pin headers, JST-SH sockets or solder pads. Use either right-angled or straight pin-headers. Barometer mounted on the bottom of the board for easy wind isolation. Loop times up to ~2x as fast as previous-generation STM32F1 based boards. Configuration of the flight controller via a cross-platform GUI (Windows/OSX/Linux). 36x36mm board with 30.5mm mounting holes..
High-Capacity Flash (Acro and Deluxe). The SPR F3 builds on tried and tested software, processor and sensor technology to make your aircraft fly like it's on rails.. The RacingF3 has a standard 36x36mm form-factor with 30.5mm mounting holes and weighs just 6 grams. The RacingF3 has an ARM Cortex-M4 72Mhz CPU with Math co-processor (FPU). 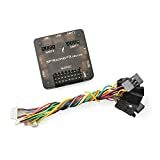 Dedicated output for programmable LEDs - great for orientation, racing and night flying..
1 x Upgrade NAZAE32 SP Racing F3 Flight Control for Multicopter with MS5611 Barometer and HMC5883 ; 2 x 8p Wire Rod ;2 x 4p Extension Path ;5 x Pins set ;1 x Protective Case. 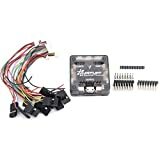 Deluxe 10DOF Version 1 x Upgrade NAZAE32 SP Racing F3 Flight Control for Multicopter with MS5611 Barometer and HMC5883 2 x 8p Wire Rod 2 x 4p Extension Path 5 x Pins set 1 x Protective Case Features: Better coding practices and introducing tests, easier to maintain and for future development. (Dominic has software development background) Many bugs fixed from Baseflight. 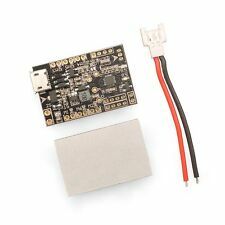 Supports more flight controllers, including CC3D, CJMCU and Sparky. Supports OneShot ESC and more than 8 RC channels. Additional PID controllers that uses floating point arithmetic operations. (now has 3 built-in PID Controllers) Many more features such as RGB LED strip support, Autotune, In-flight PID tuning with your radio, blackbox flight data logging etc. Specification: * 36x36mm board, 30.5 mm mounting holes. * STM32F3 CPU. * High-capacity Flash (Acro 6DOF and Deluxe 10DOF) * MPU6050 Accelerometers and Gyroscopes * MS5611 Barometer (Deluxe 10DOF) * HMC5883 (Deluxe 10DOF) * MicroUSB socket. * 4 x 4 pin JST-SH Socket (I2C, SWD, 2xuart) * 2 x 8 pin JST-SH Socket (PPM, PWM, SERIAL RX, GPIO, ADC, 3V, 5V, GND) * 8 x 3 pin though-holes for pin headers for ESC / Servo connections. * 2 x 4 pin though-holes for the 2x serial ports . * 2 x 2 pin though-holes for battery voltage and buzzer.